So much for a violence-free mob trial. Defense lawyers had panned the federal indictment facing reputed Philadelphia mob boss Joe Ligambi and nephew George Borgesi, calling its allegations of bookmaking and illegal video gambling petty compared with the murder-filled cases that brought down Mafia dons. But by the end of testimony Friday, jurors were sated on stories of head-splitting, face-chomping, and baseball-bat-whacking, all courtesy of Louis "Bent-Finger Lou" Monacello. "I swung with all my might and split his head right open," the former high-ranking mob associate said, recounting one 1998 beatdown he delivered to a rival gang member. Prosecutors enlisted Monacello, who took the stand late Friday, to bolster their claims that Borgesi, his one-time boss, used violence or threats of it to run rackets for more than a decade. His testimony failed to convince during the mob's first trial. A jury acquitted Ligambi and Borgesi of most counts and deadlocked on the centerpiece racketeering conspiracy charge, prompting the retrial that began this month. Dressed in a sharp suit and tie, Monacello took to testifying the second time with a confidence bordering on cockiness. Asked by prosecutor John Han to identify any mob members in the courtroom, Monacello pointed to his former captain. "George Borgesi, sitting right there," he said. The two met as teens in South Philadelphia in the 1980s. Monacello hailed from a family of police officers and civil servants. Borgesi's uncle worked for mob boss Nicky Scarfo. Borgesi aspired to follow in his family's footsteps, and by the time he was in his mid-20s, he already claimed 11 murders, Monacello said. They became close, stealing cars, running bets, and shaking down businesses. But the portrait Monacello painted of his former friend was of a petty sociopath who spoke of brutal violence "just like [he would] talk about his next meal." People who owed him money received their bills in the form of baseball bats. He harbored a special ire for his own crew members who had crossed him, Monacello said, and none more so than Angelo Lutz, the former associate who now runs an Italian restaurant in Collingswood. 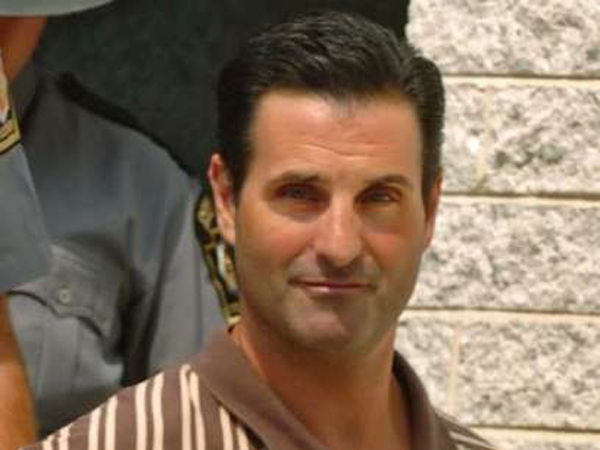 When Borgesi suspected Lutz of stealing from him in December 1998, he summoned him to a basement and "pulled the rod right out of a Christmas tree and split [Lutz's] head right open," Monacello said. Later, when Lutz dropped the ball in booking accommodations for Borgesi's brother's bachelor party, the mob captain "grabbed Angelo by the face and bit a chunk of out his skin." "And he made him pay the bill," Monacello added with a chuckle. And that's not to mention the times Borgesi purportedly slapped Lutz upside the head with a blackjack or stabbed him in the ear with a pencil. "He's a maniac," Monacello said. "I'm not afraid of too many people, but he's definitely a guy I wouldn't want to get on the wrong side of." Borgesi's lawyer, Christopher Warren, has described Monacello's testimony as fiction spun by a turncoat who would say anything to avoid prison. Monacello is expected to return to the stand when the trial resumes Monday.